When System of a Down announced they would take a hiatus after headlining Ozzfest in '06 it left many of their fans wondering what the band members would do. Would they simply take time off and enjoy an extended vacation having become successful rock-stars? Quietly take their time to work on another album without pressure from a record company's deadline? Or maybe pursue other projects? In this case it would turn out to be the pursuit of solo-projects. Serj Tankian was the first to release a solo-album (see my review in an earlier post). Daron Malakian would form a new band and call it Scars On Broadway, bringing Jon Dolmayan from System Of A Down with him on drums. 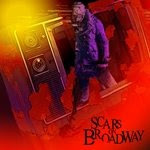 Like Serj's "Elect The Dead", "Scars On Broadway" retains many elements of System's sound, though neither project sounds exactly like their previous band. Some may say that "Scars" sounds like it's missing something (the presence of Serj's vocals), however in many ways this new band offers the chance to hear a different side of Daron Malakian's musical influence. Most of the album carries a vibe that is more hard-rock and less metal. His lyrics still pull no punches, taking shots at many political and social issues. Though part of me also feels like this album could benefit from some of the vocal tag-teams between Daron & Serj that are employed on the System Of A Down albums, I still find the music from Scars On Broadway is worth checking out. It should satisfy many System fans who are waiting for them to make a come-back. Soon after I started writing this blog, I thought to add a monthly reader's poll feature. I thought I could utilize this tool for a number of reasons: it would provide myself with a catalyst to ensure I post on at least a monthly basis, it would provide some opinion feedback from readers of the blog, and it would keep my mind working to think up new topics frequently. So far, I think this feature has helped keep this blog interesting, and I hope you agree. I remind you again that I welcome reader input on this front, so feel free to suggest topics for these polls. For now, allow me to review the monthly polls up to the November '08 poll, where you voted for the symbolic "president" of this blog. I'll denote the winner of each poll in bold BLUE text, and my own vote in bold with a star*. I'll also briefly explain my reasoning for my vote. January '08: "Who's your favorite 70's rock band?" February '08: "Who's your favorite lead-guitarist?" March '08: "What's your favorite epic rock song from the 70's?" April '08: "Who's your favorite grunge band?" May '08: "What's your favorite 'Unplugged' album?" June '08: "Who's your favorite thrash band?" July '08: "Who's your favorite female heavy metal lead singer?" August '08: "What's your favorite rock album from 1976?" September '08: "Vincent Furnier is the real name of which heavy metal icon?" October '08: "Who's your favorite bassist?" November '08: "Election '08! Who's your favorite heavy metal vocalist?" Post #59 Poll Winner: Which 'Coming Soon' topic should I write next?The 90's were a time when "Alternative" became the cool new sound in music. But what exactly was "Alternative"? The name itself could encompass many styles of rock music. 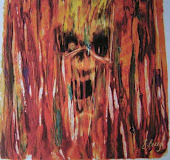 It seemed to be a blanket label that covered grunge, jam-bands, pop-rock, and neo-punk all at once. Overall the main musical element of "alternative" seemed to be a blending of clean, acoustic, and distorted guitar sounds set in a rock or pop drum beat. Alternative was cool. It was "in". It was enormously popular. And every week there seemed to be a new "Alternative" band with a hit song on main-stream radio. 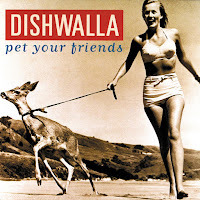 This was a recipe doomed to yield a plethora of one-hit-wonders, and the majority of these bands failed to last much longer than one or two albums. In a way it's a shame because many of these bands produced a great album or two, and most of the music on each one was generally overlooked in favor of the band's one big hit. The song you probably know: Counting Blue Cars. This song was a great hit about spiritual self searching. 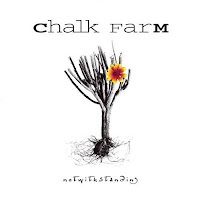 Chalk Farm-Notwithstanding (1996)The song you might have heard: Lie On Lie. This song features a great blend of acoustic and electric guitars, and lyrics focused on social-psychological issues. Although I find this band to be good songwriters the critical part of me has to admit their vocalist doesn't have much range, and sometimes comes off as monotone. Still, the songs themselves are good enough to track down and add to you i-pod library. 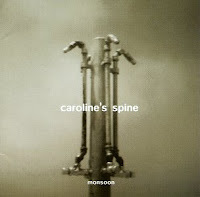 Caroline's Spine-Monsoon (1997)The song you might have heard: Sullivan (either the electric or acoustic version- they both rock!) This song pretty much tells the same type of story as the film "Saving Private Ryan" did, except from the mother's perspective. This song is more of a tear-jerker than that movie was, and it was released a year before the film, in case you were curious which came first.